Join us for an indulgent high tea spent tasting seven Champagnes in three flights. The first flight will showcase the different grape varieties used in Champagne alongside a lobster salad and some delicious London-cure smoked salmon terrine prepared by our Head Chef. 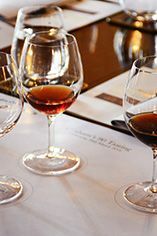 The second flight will showcase some well-known producers, comparing and contrasting different house styles. 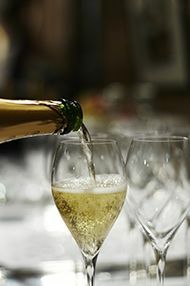 As you learn how Champagne is made, coronation chicken and a scrumptious home-made sausage roll will be served. Finally, we will discuss the concept of vintage Champagne and deluxe cuvée. Should you happen to tire of Champagne, an assortment of artisan leaf teas will also be available for you to try, served alongside a sumptuous sweet selection encompassing two plump scones (one fruit and one plain) with home-made raspberry jam and, of course, clotted cream, plus a delectable brownie dressed with our King's Ginger sauce. Free Postal Delivery (2-3 working days).